It's October! Around here that means the wind's blowing colder, it's getting dark earlier, and lots of people are in the mood for a good scary story. Something we learned quickly as we were visiting schools for booktalks: kids LOVE scary stories. Not every kid, of course, but lots of them. So today I've got seven of my favorite scary stories for your middle grade readers. I would love to hear about your favorites in comments! Doll Bones by Holly Black (Margaret K. McElderry Books, 2013. 244 pages). Zach, Poppy, and Alice are best friends, getting together to weave awesome adventure stories starring their action figures, a pastime that none of their fellow middle-schoolers would probably understand. But things are starting to change between them and when the end of the game seems nigh, the girls visit Zach in the middle of the night to tell him that Poppy is being haunted by a mysterious china doll who claims that it is made from the ground up bones of a murdered girl. The friends must set off to figure out where the murdered girl lived and bury the doll or risk being cursed forever. This is the perfect fall read with a chilling atmosphere and a solid friendship story at its heart. Hoodoo by Ronald Smith (Clarion, 2015. 208 pages). Twelve-year-old Hoodoo Hatcher was born into a magic family, but he hasn’t yet figured out how to harness his powers. 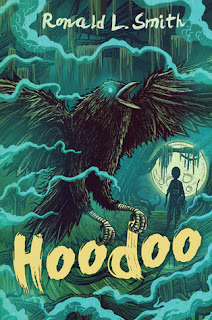 When a spirit arrives in their woods, Hoodoo has a vision telling him that it’s up to him to defeat this demon, but how can he when he doesn’t have his magic? This is an atmospheric story with some seriously creepy magic going on. I would especially recommend this one for fans of historical and Southern gothic stories. 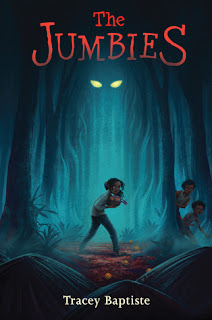 The Jumbies by Tracey Baptiste (Algonquin, 2015. 234 pages). 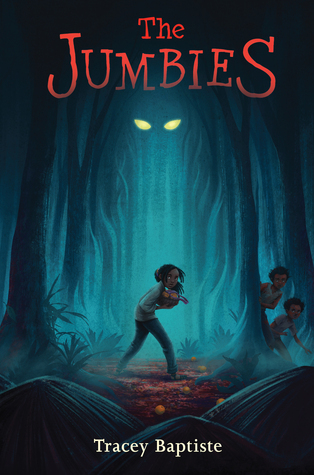 Eleven-year-old Corinne doesn’t believe in jumbies – what folks call supernatural creatures on her island home. But when she goes into the mahogany forest to get back the necklace the village boys stole from her… something follows her out. This is one of my absolutely favorites to booktalk. It's a strong friendship story, as well as being a terrifying tale of supernatural creatures. 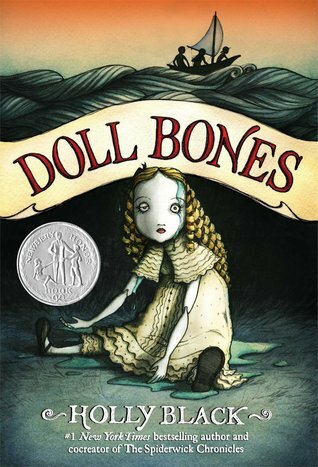 Readers who liked Doll Bones will love this book. 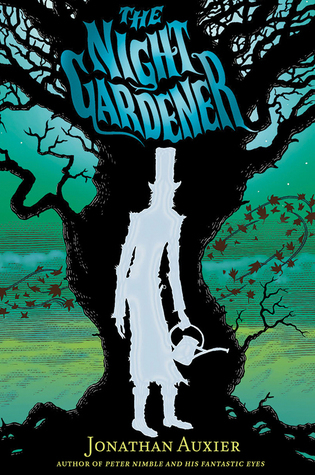 The Night Gardener by Jonathan Auxier (Abrams, 2014. 350 pages). When two abandoned siblings find work at an English manor house, they quickly realize that all is not right in the house. People there have awful nightmares every night and each morning Molly finds muddy footprints that don’t match the feet of anyone living in the house. Can they save themselves and the family from the night gardener? From the warnings of townspeople that no one enters "the sour woods" to the dulling of Molly's bright red hair as she continues to live in the house, this book is filled with little details that add up to an un-put-downable scary story. 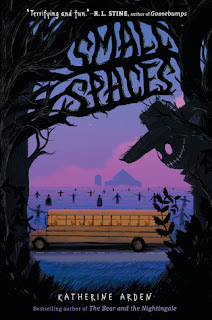 Small Spaces by Katherine Arden (G.P. Putnam's Sons, 2018. 218 pages). When Ollie’s class school bus breaks down on the way back from a field trip, the creepy scarecrows in the fields start to look all too real. Their teacher goes for help and the bus driver has some strange advice for the kids: “Best get moving. At nightfall they’ll come for the rest of you.” And then Ollie’s broken wristwatch displays a terrifying message: RUN. Katherine Arden, author of popular adult fantasy books, is a master of atmosphere and she brings that to this middle grade book, too. There were so many passages that I just read over and over for the shiver down my spine before I raced on, needing to know what happens next. 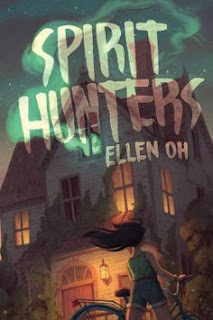 Spirit Hunters by Ellen Oh (HarperCollins, 2017. 276 pages). When Harper and her family move to a new home, rumors are that their new house is haunted. But Harper doesn’t believe them… until her little brother starts acting very strange. Could he be possessed by a spirit? And how can Harper save him? This creepy mystery from We Need Diverse Books founder Ellen Oh totally reminded me of the scary books I loved to read as a tween. Details of Harper's Korean-American family and portrayals of the racist microaggressions Harper faces make this title stand out in a sea of haunted house books. 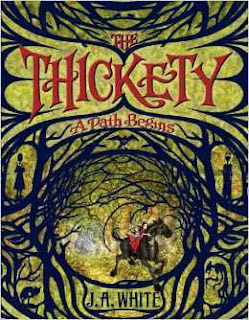 A Path Begins (The Thickety #1) by J.A. White (Katherine Tegen Books, 2014. 488 pages). When Kara was a little girl, her mother was convicted of witchcraft and hanged. Now, Kara and her family are outcasts. One day, a strange bird appears to Kara and leads her into the Thickety – the enchanted forest that no one is supposed to enter – and Kara finds her mother’s spell book. She knows that she should leave it behind or destroy it – it’s illegal to have magic books – but it’s the one thing she has of her mother’s. So Kara takes it out of the Thickety. And that’s just the beginning of the story. I've written before about how much I love this series of books. If you have readers who are into magic and witchy stories, this is a can't-miss! Ooh I hope you've found the perfect scary tale for the young readers in your life here, and I'd love to hear about your favorite scary reads! Tell me all about 'em in the comments!